Before the sharp gold first light of the morning bathed the red boat in my previous post, this is what I was photographing. 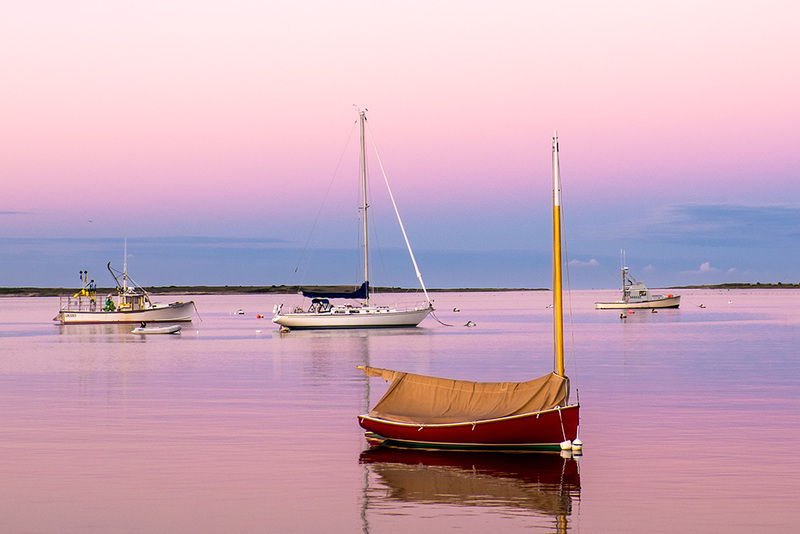 The pink in the sky was reflecting into the bay, flooding it with its warmth and color. I was ready and not going to miss it. Sure, the quality of light in my previous post was dramatic “Cape Light,” but this was different, not better or worse, different and worthy of capture too. My friend Lynette has written an excellent piece on her thoughts and lessons learned while on her most recent trip down the Colorado River. It is worthy of your time. I have a post up on the Singh-Ray site about Palouse Light. You can see and read it here.